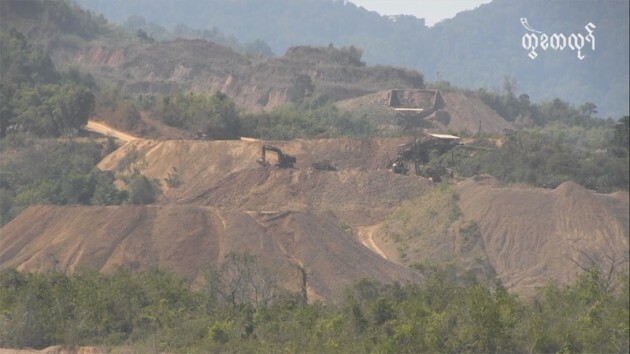 The Burmese authorities have warned the Heinda mining company, operating east of Tavoy, in southern Burma to improve and contain their work practices – that have destroyed villagers plantations – or their mining operation will be stopped. Villagers in Heinda who asked not to be named, told Karen News. Myanmar Pongpipat Company Ltd is a joint venture under the government’s Ministry of Mines and a Thai company operates a tin and tungsten mine in Heinda, 45 kilometer east of Tavoy. The Heinda Mine concession area is 2087.06 acres. Villagers say the run-off from the mine has affected 10 villages downstream of the Heinda River (Kay Ta) and Heindu (Kay Tu) rRver. Villagers claim the Heinda mine has been polluting the water for more than 10 years. They said Myaung Pyo village is the worse affected as it is closer to the mine area. Villagers alleged that authorities have told them they will be relocated. Villagers say they have submitted their complaints to the Karen National Union, who received payment for allowing the mining permission to proceed. Villagers claim they are still waiting for the KNU to take action.